Lithuania’s Evangelical Reformed Church removes headstones from Jewish cemetery installed as stairs under Soviet rule. Lithuania’s Evangelical Reformed Church removed Jewish headstones that had been used as stairs. The removal of the headstones from the 30-foot-long staircase leading to the main entrance of the church building in Vilnius was completed last week, the Jewish Community of Lithuania announced. The headstones were installed when Lithuania was part of the Soviet Union. 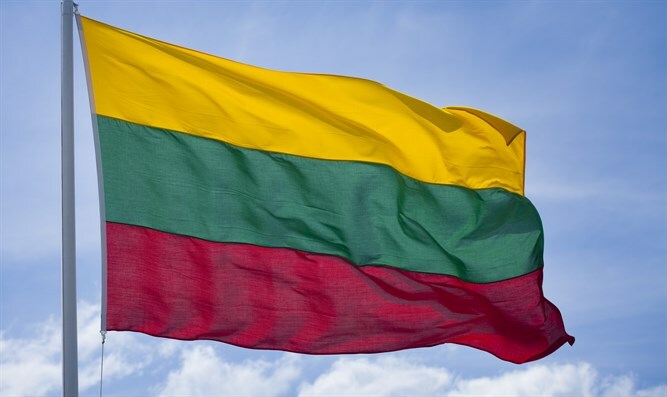 “This represents a victory in the Lithuanian Jewish Community’s long-term efforts to insure respect for the dead and the Jewish legacy in Lithuania,” the Jewish group said in a statement. The headstones will be placed at a Jewish cemetery, the statement said. The church on Pylimo Street was featured in an article published in 2013 on the website DefendingHistory.com, run by Dovid Katz, a Yiddish scholar and member of the Jewish Community of Lithuania. The former chief rabbi of Lithuania, Chaim Burshtein, also called for removing the headstones from the stairs. The building, which was confiscated by the government during communist rule, was returned to the church after Lithuania’s independence and, following renovations, reopened in 2007.